Are you looking for a nice, attractive as well as a handy coffee machine for espressos? Then you can go through with Nespresso espresso machine. There are lots of coffee machines available in the marketplace. Nespresso is one of them; which is used to make espressos at home as well as for commercial purpose. Nespresso coffee machine is a consummate product produced by Nestle S. A. which is a Swiss multinational company. A Nespresso machine is compact, auto controlled and straight-forward. For this reason, you will have a reliable, consistent espresso experience. After promoting this product they take in the first place by this pump powered automatic espresso machine. Since it is a single serve coffee machine, it uses fewer lumps of coffee owing to many efficient characteristics. 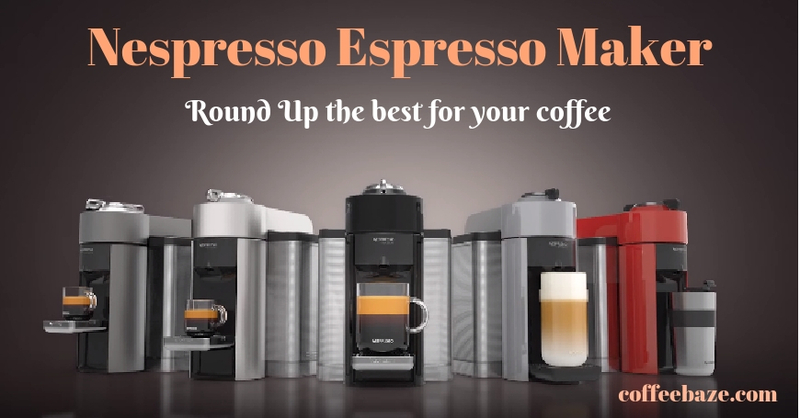 Even though there are various types of Nespresso machine in the market, the following machines are the best around. Nespresso Inissia is the best-selling homemade coffee maker. Generally speaking, it’s the Cadillac of single-serve espresso coffee machine. In short, a coffee lover who craves for coffee correspondingly they could make it any time with this espresso maker. Design: It’s a nice, handy, plastic covered & portable machine; In addition, you will love all the features. Water Tank: Its large removable water tank has the capacity to brew almost full eight cups of espresso coffee at a time without refilling water once again. It also has a lid that prevents spillage. Brew Sizes: 3.70 oz lungo. 1.35 oz Espresso. Cup Size: It has 2 adjustable cup sizes. Small: 40ml and Tall: 110 ml. Capsule: It has easy insert and empty coffee pods system. There is also has an inbuilt bin for the used capsule/coffee pod. You can buy Nespresso capsules in the Amazon.com. Drip Tray: It has also a special storage option for the recycled capsules and a foldable drip tray. Buttons: There are only two buttons one is for espresso and the other is for lungo. Selling Partner: You can purchase this product through Amazon.com and Amazon.co.uk. Choose the web address according to your residential status. Warranty: warranty may differ according to the region. Information is available with the Product Seller. As it is small in size, it’s easy to set up in any place. For different coffee, it uses capsule technology. Low capacity such as it has the only 24-ounce capacity. It only allows for Nespresso capsules. If you are the one who is looking for an affordable coffee machine can choose the Nespresso Inissia. This single serve coffee maker is user-friendly and also easy to port. Nespresso Citiz and Milk is perfect for any tabletop counter. It is just great for its aluminum black color compact shape. Thereupon it looks great at any countertop corner. It is perfect for coffee shops. Design: Nespresso Citiz& milk is an original line model coffee beverage. It is covered by aluminum. Variety: You can easily enjoy the Nespresso Latte, Iced Cappuccino and the Cappuccino besides espresso and lungo coffee beverage. Water Tank: It contains a large water reservoir which can make almost full ten cups of espresso coffee at a time without refilling water. It also has a lid that prevents spillover. Frother: Nespresso Citiz has a milk froths attached with the machine. Capsule: 10 to 11 Nespresso capsules with different color and flavor. Buttons: There are only two buttons one is for the espresso and the other is for the lungo. As it’s small in size, it’s easy to set up in any place. It has a wand as an added feature as an added features that. It is automatically turned off by its auto-off device. The Nespresso Citiz is excellent for an espresso lover who wants a large water container with frothier without giving extra space. So, by using it now you can enjoy latte Macchiato. Nespresso Pixie Electric Titan is a very attractive homemade coffee machine at a low price. It’s a Cadillac of portable single serve espresso coffee machine too. This machine will pique the interests of any coffee lover. So, it’s all features are very likable. Design: It has different materials and colors like steel, aluminum, Carmine and brown. It’s a handy portable machine. Water Tank: It has a large water tank. Without refilling water, at a time it can brews almost full eight espressos coffee cups. It also has a lid that prevents overflow. Pods: It’s easy to insert and empty the Nespresso coffee pods. There is also has a built-in bin for the used capsule. Selling Partner: According to your residential status; you can buy it through Amazon.com and Amazon.co.uk. Warranty: warranty may differ according to the region. As small in size, it’s easy to set up in any place of home or apartments. Different coffee can make by its capsule technology. Nespresso Pixie Electric Titan is for those who spend a very busy life and wants to get the espresso very quickly. This is for the ones, who are looking for an affordable coffee machine. Nespresso evoluo deluxe is very simply operated brewing coffee Machine. If someone craves to have a coffee like espresso or any kinds, in that case, it is the perfect one. Design: it has different materials like steel, aluminum, and colors like carmine and brown. It is able to make both espresso and cappuccino coffee by Nespresso vertuoline capsule. Wireless Connectivity: It is not applicable. Pressure: it has Centrifusion and via-extraction. Water Tank: It contains a reservoir which can make almost 18-20 cups espresso coffee without refilling water. Its lid helps to refill and clean it. Brew Sizes: 3.70 oz lungo. 1.35 oz espresso and programmable alto grand capasules. Cup Size: It has two sizes cup. Small: 40ml and Tall: 230 ml. 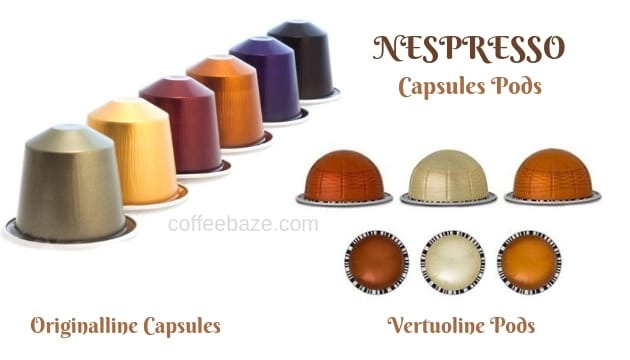 Capsule: Bulk quantity of best Nespresso vertuo line coffee capsule but little bit press forward to insert and empty the Nespresso coffee capsules. Buttons: It has only one touch button. Pod Holder: It has a separate Nespresso coffee pod holder. Selling Partner: You can purchase this product from Amazon.com. Warranty: warranty Information can get from the Product Seller. It’s easy to set up in any place. Brewing options: For different coffee, it uses capsule technology. It has 20 capsule capacity trays. Its auto-off system is a great energy saver. This machine gets hit very quickly. Weighs a little bit more than others. If someone has barista-like skills, this machine will prove to be worthy of their specialties. Nespresso Vertuo line is appropriate for making espresso and regular coffee as well. Nespresso Original Line is the most seen categories of Nespresso machine. It is compact but very user-friendly. Nespresso Capsule is most popular for its different tastes and flavors. Uniquely It has 3 different types of pods. One is for Nespresso Original Line machines which contain ground coffee 1.35oz. for espresso as well as 3.72oz. for other coffees. On the contrary, rest 2 types are for Nespresso Vertuo line machines. One of them has 7.8oz. capacity for coffee and another has only 1.35oz. capacity for espresso. Questions: Does Nespresso make good espresso? The vertuo line pod coffee makers are perfect for espresso. Only for espresso exclusively it has 1.35oz. capacity pods. 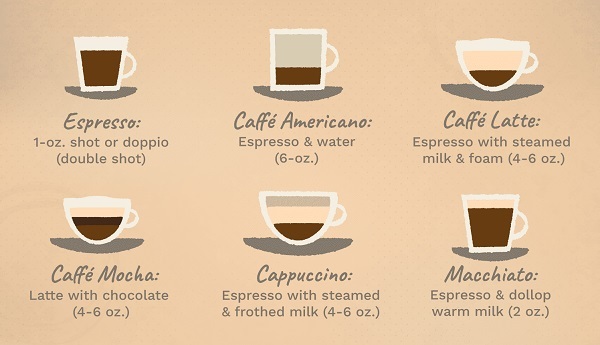 Questions: Do Nespresso machines make regular coffee? Yes, you can make your favorite coffee or espresso by using Orginal Capsules of Nespresso. You can make pod coffee by a click of a button with hot milk system. Questions: What is the most popular Nespresso capsule? There are lots of Nespresso Capsule with various flavor you can by in the market. But most popular capsules are Ristretto, Arpeggio, Roma, Livanto, Capriccio, Volluto and some more. Click here To know details Types of Nespresso capsules. At present, Nespresso Company has manufactured some models under these two devices – Orginal and Vertuo line. Here I’ve picked the top 4 of them for you. And also, I explained to you all the details of those four models. All things considered, Do you think you get the right Nespresso espresso machine which you are looking for?